Originally published in Creation 26, no 4 (September 2004): 44-49. The pyramids of Egypt are amazing structures and fascinate people today. There are about 100 altogether, some only symbolic and small. But there are 17 great pyramids, and the size and composition of these stagger the minds of those who visit them. Critics use the pyramids to claim the Bible can’t be right. They say the pyramids were built long before Noah’s Flood, so the Flood must have only been a local affair, not global like the Bible says. Otherwise, the pyramids would be buried under lots of sediment. Little is known about the Pharaoh Neferhotep I (left). Some biblical historians believe he may be the king who persecuted the Hebrews and under whose anti-Jewish reign the exodus occurred. His body and tomb have never been found. The problem is with the way modern scholars have constructed their chronology of Egypt. Manetho, an Egyptian priest, left a list of kings and dynasties with their length of reigns, and although inscriptions on tombs and temples give chronological information, the issue is how to interpret this information. With so little to work from, archaeologists have had to make copious assumptions. And modern scholars have developed a long chronology consistent with the idea that humans have evolved over millions of years. All this has turned these wonders of the ancient world into something of an enigma. If the first human societies evolved from primitive hunter-gatherers, how could ancient artisans have built such amazing structures? If they began without technology or social organization, why do these incredible feats of engineering burst upon the ancient world? Some have even wondered if the technology was supplied by aliens. But the pyramids of Egypt are no enigma when we use biblical history as our starting point. According to the Bible, the first settlers of Egypt migrated from the Euphrates River, the site of the Tower of Babel, where the languages were confused after the Flood. The modern chronology of Egypt is far too long because dynasties have been placed sequentially, whereas they were, to a greater or lesser extent, contemporary. In other words, the reigns were concurrent with each other. Also, some dynasties may not have existed at all. It seems the first settlers of Egypt were descended from Mizraim, the son of Ham ( Genesis 10:6, 13 ). That’s why, at the first dynasty, there bursts on the scene a people of culture and skill who already possessed a form of writing. For the first two dynasties, the earliest settlers did not build pyramids. Instead, kings were buried in chambers underneath mud-brick edifices, called mastabas. However, in the third dynasty, King Zoser had a vizier (chief minister) called Imhotep, who used rough blocks of stone, instead of bricks, to build the king’s mastaba. Then he added six stages making the famous Step Pyramid of Saqqara, on the west bank of the River Nile, 20 km (12 miles) south of modern Cairo. This is believed to be the first pyramid ever built in Egypt. Recently, archaeologist Mark Lehner unearthed the village in which the pyramid builders lived. He found a bakery which he estimated could have provided daily bread for 20,000 labourers. He also found the cemetery in which workmen who died on the job were buried. Some of them even had fractured bones caused by heavy weights crushing them, but splints and skilful medical attention had enabled the bones to grow together again. In other words, there is plenty of evidence to prove that the pyramids were built by real people and not by men from Mars or astronauts from a lost civilization. It’s no surprise when you think from the Bible. The greatest builder of pyramids ever known was Seneferu, the first king of the fourth dynasty. About 40 km (25 miles) south of Saqqara, at Meidum, he built the first pyramid with the true pyramid shape. 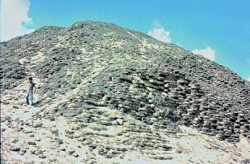 Unfortunately, the outer stones have since collapsed, leaving only a step-pyramid core. Seneferu built another pyramid closer to Saqqara, at Dahshur. It is called the Bent Pyramid because the lower half rises at an angle of 54 degrees, much steeper than the upper half, which is only 43 degrees. There are cracks in some of the lower stones, so maybe Seneferu’s builders feared that the pressure would be too great and completed it at a safer angle. This clear evidence of experimentation and failure is what we would expect from intelligent but flawed humans. It shows how absurd is the idea that super aliens built them. Not satisfied with these huge monuments, Seneferu then built the Red Pyramid, also at Dahshur. This whole pyramid was at the lower angle of 43 degrees. Perhaps this was his final attempt to have a pyramid which would not collapse on him after he was buried! Seneferu’s son Khufu (Greek historians called him Cheops) built the largest of all the pyramids, on the Giza Plateau, north of Saqqara and 15 km (10 miles) west of modern Cairo. It stands 146 metres (480 ft) high and is known as the Great Pyramid and employed a huge workforce (see box above, Pharaoh’s workforce). Altogether it contains some three million huge blocks of stone, some of which weigh about 15 tons. The king’s tomb chamber is lined with huge granite blocks, transported down the Nile from Aswan, 1,000 km (600 miles) south of Cairo. They weigh up to 30 tons each, but are so perfectly squared that it is not possible to fit a postcard between them. How they attained such precision is a source of great admiration (see box How were the stones set in place?). Khufu’s son, Djedefre, carried on the family tradition, and built a pyramid at Abu Roash, a few kilometres northwest of Giza. It was either never finished or local stone robbers have removed most of the upper stones. The next two kings of the dynasty, Khafre (Gk. Cephren) and Menkaure (Gk. Mycerinus), built their pyramids back on the Giza plateau. Khafre’s pyramid is nearly as high as Khufu’s, but has a steeper angle, so fewer stones were required. Egyptian princess Sobekneferu. Is this the face of the woman who drew Moses out of the water because she had no child of her own? Some biblical scholars believe so. This statue of King Zoser seems harsh because thieves have stolen the originally inlaid eyes and disfigured the face. Together with his architect Imhotep, he was responsible for the first pyramid. Menkaure’s pyramid is only about a quarter the size of the earlier ones, but the lower layers were faced with granite blocks from Aswan. The outside face of some of these granite blocks was not completed, so archaeologists can see that the outside blocks were not cut exactly before being fitted in place. Rather, they were put in place and then masons started at the top and worked downwards, facing the outside blocks as they went. The pyramids of the fifth and sixth dynasties were shoddy affairs, made of rubble but faced with nice white stones. Most of these stones have been stolen, leaving untidy heaps of debris. Unas, the last king of the fifth dynasty, introduced one new feature in this period. He had vertical lines of hieroglyphic texts inscribed in his tomb chambers. Previous pyramids had no original texts in them. Dynasties seven to ten, the First Intermediate Period, has traditionally been considered a time of poverty and confusion. However, some scholars1 suggest that these dynasties did not exist, at least not as independent dynasties—another reason why the traditionally held chronology of Egypt needs shortening. The next dynasties comprise the so-called Middle Kingdom, a period of power and affluence. With the shortened chronology of Egypt advocated by some scholars,2 Joseph and then Jacob and his family may well have come to Egypt during the 12th dynasty, and Moses may have been born before the dynasty ended. Most of the pyramids built in this dynasty were made of millions of large, sun-dried mud bricks. Then the structure was faced with smooth stones to give the appearance of a true stone pyramid. However, the stones have long since been stolen, leaving only a huge pile of mud bricks. The Jewish historian Josephus wrote concerning the Israelite slaves in Egypt, “They [the Egyptian taskmasters] set them also to build pyramids.”3 Most archaeologists dismiss this statement on the grounds that all the pyramid building had ended before the Israelites arrived in Egypt. The mud-brick pyramid of Amenemhet III. He may well be the pharaoh who reigned at the time of Moses” internship in the king’s house. Mud brick mixed with straw—perhaps like those the Israelites made ( Exodus 1:14 ; 5:7–19 ). However, by the shortened chronology the dates of the early dynasties would be reduced and the Israelites would have been in Egypt during the 12th dynasty. Also, that would be consistent with the type of pyramids evident in that period, i.e., mud-brick. According to Exodus 5:7, Pharaoh told the taskmasters, “You shall no longer give the people straw to make brick as before. Let them go and gather straw for themselves.” It seems it is the archaeologists who have erred rather than Josephus. There is also evidence that there were Asiatic (people from Syria or Palestine) slaves in Egypt during this dynasty. Dr Rosalie David, in her book The Pyramid Builders of Ancient Egypt, wrote, “It is apparent that the Asiatics were present in the town in some numbers, and this may have reflected the situation elsewhere in Egypt. 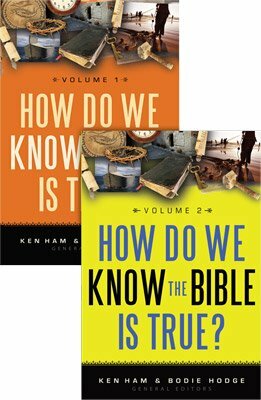 … Their exact homeland in Syria or Palestine cannot be determined … the reason for their presence in Egypt remains unclear.”4 But it is not unclear when we start with the Bible. Sir Flinders Petrie and Rosalie David could not understand the reason for their presence in Egypt because they clung to the traditional dates for the 12th dynasty of Egypt. These are from about 1990 to 1785 BC, whereas the biblical dates for the Israelite presence in Egypt would be from about 1660 to 1445 BC ( 1 Kings 6:1 ). All these problems disappear when we start with the reliable history and chronology of the Bible. People often associate Egypt with mummies. The dryness of the arid climate preserved bodies buried in shallow sandy pits, as in the image below. Egyptians intentionally mummified their dead early in their history. The process was an expensive one and usually only rulers or nobility could afford it. The steps involved took about 70 days and required the removal of all moisture from the body so that the dried form would not easily decay. Later, after all the organs were removed, the body was subjected to various treatments and wrapped in linen bandages up to hundreds of metres long. Like many pagan societies, the ancient Egyptians did not follow the true Creator God of the Bible. They believed that preserving their bodies as life-like as possible would somehow grant them eternal life. Constructing their colossal monuments in stone was seen as building for eternity. The last of the great pyramids of Egypt was built by Amenemhet III at Hawarra, 110 km (70 miles) south of modern Cairo. This Pharaoh could well have been the foster father of Moses. His daughter, Sobekneferu, was the last ruler of this dynasty, and she had no son to succeed her. She might well have been the daughter of Pharaoh who “came down to wash herself at the river” ( Exodus 2:5 ). This was not because she had no bathroom at the royal palace. Instead, she would most likely have been there praying to the Nile fertility god, Hapi, for a baby. When the basket containing the baby Moses came to her attention she may well have considered it an answer to her prayer. But when Moses was 40 years of age, he showed his sympathy for the Israelite slaves by killing one of their oppressors. When this came to the attention of Pharaoh, Moses had to flee to the distant land of Midian. So when Sobekneferu died, the dynasty came to an end. Then 40 years after Moses fled, God said to Moses, “all the men are dead who sought your life” ( Exodus 4:19 ). He returned to Egypt and confronted one of the pharaohs of the 13th dynasty, possibly Neferhotep I, whose mummy or burial place has never been found. 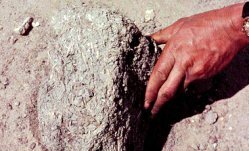 When we take the history and chronology of the Bible as written, we find that it makes eminent sense of the archaeological evidence. The pyramid builders were not people who had evolved from animals over millions of years. Rather, they were once part of an advanced civilization which built an imposing tower that soared over the plains of Babylon ( Genesis 11 ), a people descended from a family that disembarked from the 15,000-ton ocean-going Ark ( Genesis 6–8 ). We still do not know exactly how they accomplished all their engineering feats in ancient Egypt, but we can be sure that a people who were less than 30 generations from Adam had incredible intellectual skills. How were the stones set in place? There are several theories to explain how the blocks for the huge pyramids of Egypt were placed in position. There is no need for mysterious theories or space-age technology. The stones could have been dragged up a ramp. However, such a ramp would need to extend for hundreds of metres and would contain an enormous amount of bricks or rubble. An alternative idea is that a spiral ramp was wrapped around the pyramid as it rose in height. Dr Zahi Hawass, Egypt’s leading archaeologist, concluded that it could have been a combination of the two. Actually, the lower layers are no problem. The platform on which the pyramid is built was carved out of the bedrock and is below ground level, so blocks could have been cut from this basin. As the height rises, the blocks become smaller, so that it would not have been so difficult to raise them, though it would still have been a formidable task. No qualified archaeologist accepts that the stones were “poured” like concrete. The fact that in many places lime plaster has been used as mortar to join the stones together makes it obvious that they were quarried stones. Most of the stones have been hewn from a vast quarry about 500 metres (1,600 ft) from the pyramid. Square cuts in the sides of this quarry reveal where the blocks came from. The early Egyptians did not use the wheel, which would have been useless on the sandy plateau on which the pyramids were built. Instead, they used sledges, and the route along which the blocks were dragged can be traced. So, although the technology is perfectly understandable, we are still in awe at the skill the builders displayed in lifting these huge stones into place with such precise symmetry. James, P., Centuries of Darkness: A Challenge to the Conventional Chronology of Old World Archaeology, Cape, London, 1991; also Down, D., Searching for Moses, TJ 15(1):53–57, 2001. Josephus, F., Antiquities of the Jews, II-IX-1. David, A.R., The Pyramid Builders of Ancient Egypt: A modern investigation of Pharaoh’s workforce, Guild Publishing, London, p. 191, 1986. David, A.R., The Pyramid Builders of Ancient Egypt: A modern investigation of Pharaoh’s workforce, Guild Publishing, London, p. 199, 1986.